Salman Khan has done things that would've destroyed reputations of many, but his star status seems to be completely unaffected. In fact, with the kind of things he's gotten away with, one could argue that his luck is good enough for him to walk blindfolded across the Western Express Highway all day and still not get a scratch. The problem is that this isn't luck. It is a mere reflection of where we, the people of India, are at this point of time. We have let certain people become so powerful that they cannot be held accountable for all their alleged crimes, let alone their deeply regressive and repulsive views, because they're surrounded by sycophants and bhakts. When Salman Khan was accused by his ex, Aishwarya Rai, of harassing her, we didn't do much, despite implications of physical violence. When he was accused of running over people, even killing one, we didn't stop watching his films. Even as he was convicted of killing an animal of an endangered species, we chose to laud him for Being Human. We ignored his alleged underworld connections, we ignored his alleged crimes, and we ignored his misogyny, sexism, and homophobia. But I think our worst crime is that we ignored the fact that he is a talentless, spoilt brat who has gotten to where he is only because of who he's related and connected to. 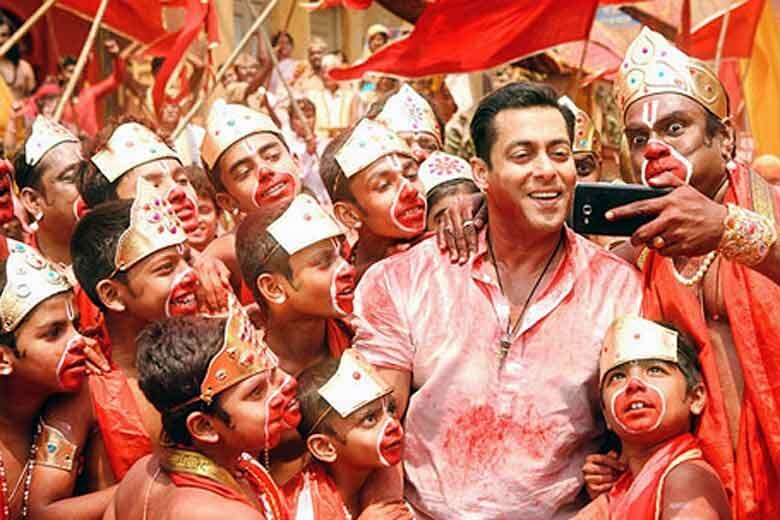 Thousands of people, each infinitely more talented than Salman Khan, spend their days going to film studios and production houses, portfolio in hand, for months, sometimes years, for that elusive break that he got only because of his privilege. We ignored Bollywood's reprehensible nepotism for decades, and now we're at a point where this man's clout makes the industry's most talented singers grovel before him, where he has the gall to imply that he is qualified to be India's ambassador to the Olympics, where he says that women are vices, where he actually compares the fatigue of shooting for a film, that he shouldn't even have been part of, to feeling like a raped woman. Salman Khan's brain could barely light a 10 watt bulb, but that isn't the only reason he blurts out nonsense like this in interviews. It is because nothing he can do can possibly affect him, since he has the might and power to get away with murder. One might ask, and reasonably so, what the point of any of this is, since we can't do much to change the way Salman Khan abuses his power and influence in every way possible. He is surrounded by dozens of sycophants who will never go against him. He has an army of bhakts, who probably don't worship him despite his transgressions, but because of them, since he, with all his undeserved privilege, is the living embodiment of all that they want to be. But if you're any kind of liberal, if you think of yourself as an educated person, if you have a modicum of intelligence, if you have any respect for talent, for merit, for other human beings, for decency, for the world, and above all, for yourself, it is probably time to draw a line and decide that you will never watch a Salman Khan film again. Don't buy a ticket for his films, don't buy DVDs of them, or order them from your cable provider, don't even watch them on TV. It might not seem like much, but boycotting him is the least we can do. Gandhi said boycotting the British could make us free of them. Maybe, just maybe, boycotting Salman Khan will make us free of him.